Her aura has never reacted to any man this way. After the female dire wolf under her protection goes missing, Laurel Finnegan’s new assignment, vetting the brother, proves even more challenging. He’s everything Laurel isn’t. And everything she wants. 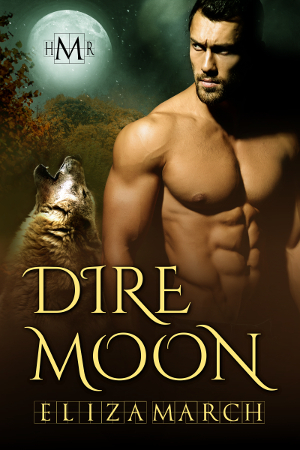 Before the full moon rises, she’ll have to test their mutual attraction, find his sister, and keep him away from the other females who will stop at nothing to be the dire wolf’s mate. He refuses to accept the significance of their mingled auras. Lucas MacDugal’s family is the last of the purebred dire wolves, and times have changed. So when his sister fought tradition and fled Scotland for Sarasota, he agreed. Now, he has to deal with her female security guard. Laurel has extraordinary elemental assets and is instrumental in deciphering evidence, but she’s also the first female to destroy his self-control. He has until the full moon rises to figure out why. After that, his unusual attraction to Laurel may prove deadly for her. All the evidence indicates Grace set herself up. Laurel’s worst fears prove true. Rogues from the south have infiltrated the outlying pack land. When she discovers Grace’s location and telecommunications fail, she decides to rely on the elemental connection she formed with Lucas. But there’s no denying how much she hungers for him, and his lust rises with the waning moon. The innocent female haunts his thoughts night and day. He has to respond. Too many lives are at stake for him to ignore the appeal he can’t resist. The full moon calls his wolf to action. Lucas will give up everything to claim Laurel as his, but he won’t risk her life. The fear of losing her drives him to discover the mystery surrounding their irresistible connection.